Stephen J. Clark was born in County Durham. Since first emerging in surrealist journals and exhibitions throughout the 1990s his fiction and illustrations have appeared in publications by Fulgur Limited, Ex Occidente Press, and Side Real Press among others. Regular collaborations with Tartarus Press have notably featured cover illustrations for a complete series of Robert Aickman’s strange tales. In Delirium’s Circle, the author’s debut novel, was published by Egaeus Press in 2012. John Hirshhorn-Smith: Your visual work is more overtly surrealist than your written. In what ways do you see them inter-relating? 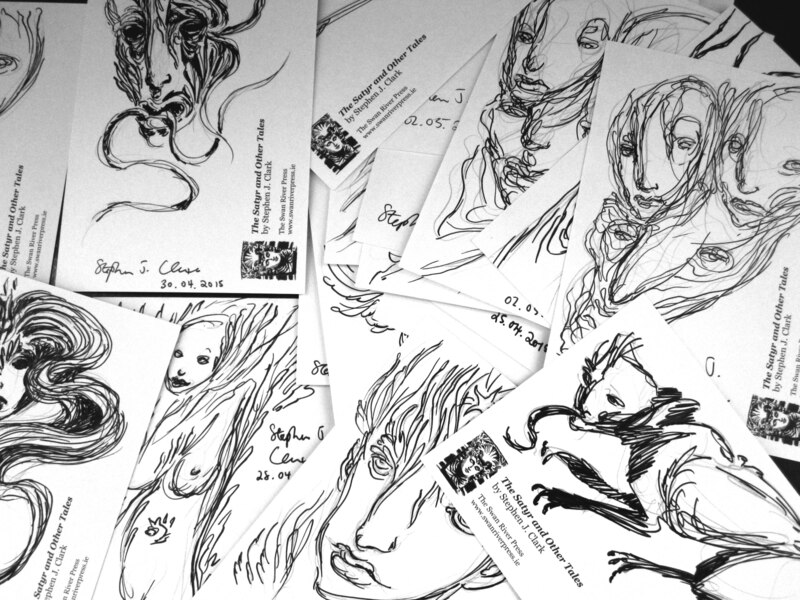 Stephen J. Clark: Drawing for me tends to be spontaneous, whereas my approach to writing requires far more effort and reflection. However, both my writing and visual work serve a similar aim in attempting to engage with “unconscious currents” drawn in part from actual dream memories and also applying a form of associative poetic play. Both in their own differing ways are methods for me to develop a dialogue between the conscious and the unconscious. I think of my approach to writing and drawing as a kind of waking dream, comparable in some ways to solving a riddle or perhaps closer to play, drawing on memories and desires as raw material in the game. In fact one of the main motivations for me in my writing is exploring where a certain image will take me, how it will evolve into something unexpected, unearthing unforeseen associations and revelations. I don’t necessarily refer to automatism here exactly as there’s more selection and refinement involved than that. It is the development of a form of thought along analogical or magical lines. In my art and writing, for the last twenty-five years or so, I’ve found myself exploring a kind of private mythology in a sense, with recurring motifs and symbols. Both activities of drawing and writing can have intrinsically magical qualities in that they possess the capacity to enchant, influence and reveal hidden or neglected aspects of experience. For me what we call the unconscious isn’t just a repository in the human mind, but exists in dynamic relationships between the subject and their language and culture. I’m talking here about things lying dormant or forgotten or latent within language, within memory that can be triggered by certain words or images. So in a sense the unconscious doesn’t only come from within us but also surrounds us, in the world’s forms and in our encounters with others. 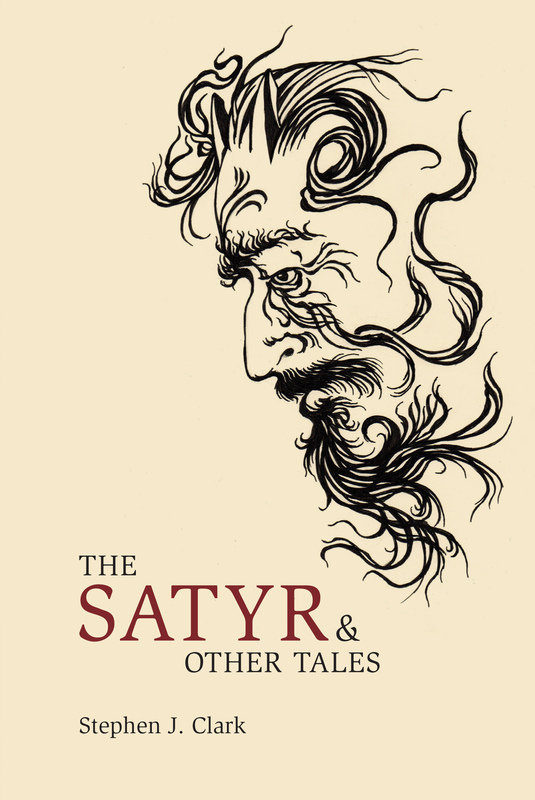 JHS: The Satyr’s unseen but central character is the artist Austin Osman Spare (1886-1956). What was it in particular that drew you to him? 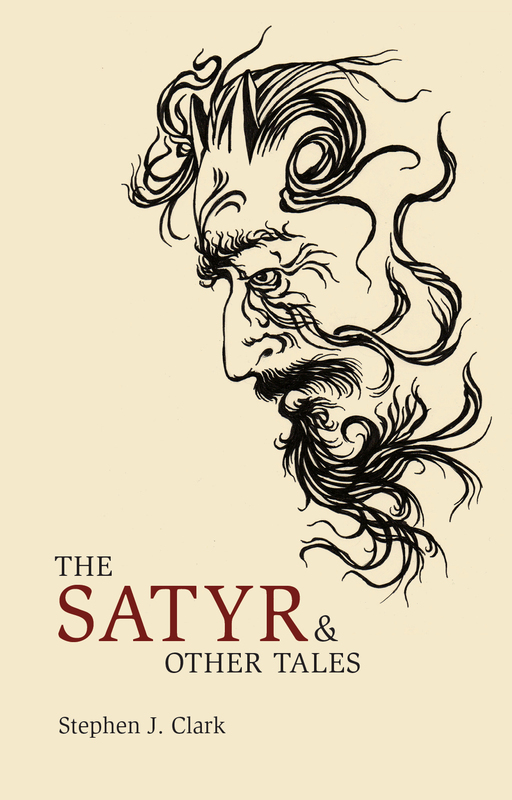 SJC: Spare is described as appearing only briefly in The Satyr, however he informs the whole novella. The character Marlene’s adoption of the persona of a femme fatale is a key to some of the magical themes played out in the undercurrents of the story. For me Spare tried his whole life to tap and explore the unconscious currents running throughout language, history and culture that influence human behaviour. In some ways it was an affinity with this preoccupation that drew me to his art and writing. Inseparable from that too is discovering his life story, revealed for example in the stories related by his friend Frank Letchford in his book Michelangelo in a Teacup. I’m not interested in viewing Spare as a demigod as some do, but as a fascinating human being who turned his back on an elitist art world to follow his own path. I think there’s a danger of projecting too much of a heroic image onto that story as later on Spare in some respects retreated from life, using his art and writing, his magic, as a way of coping with isolation. At least that’s how it seems to me. I’ve noticed how some people who’ve appreciated Spare for many years discuss him not in terms of reverence as if awestruck, although his art remains striking — no I find they speak of him with fondness as if imagining sharing the warmth of his company over a few pints. There’s a warmth, mischief and humour about Spare that isn’t always acknowledged.